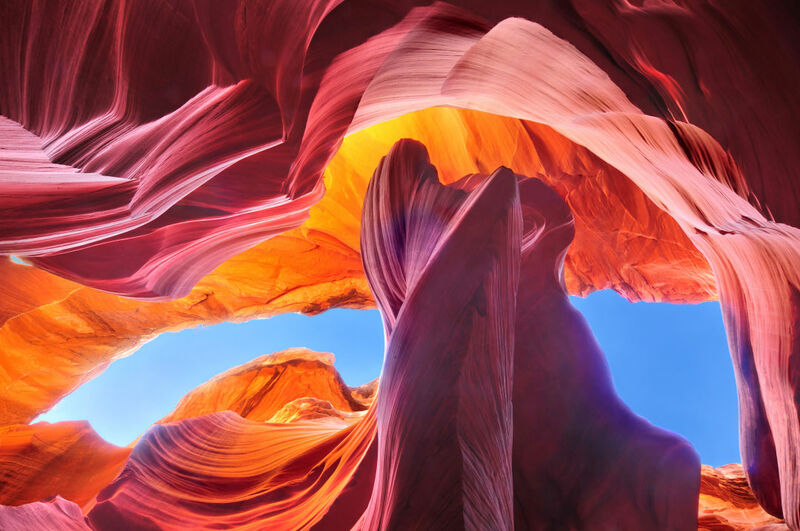 I first saw a picture of Antelope Canyon on a Windows screensaver. I wondered if it was even a real place since it looked more like a CGI image than something that could actually exist on our planet. As I looked up more information about this remarkable canyon, I realized that I had a growing list of beautiful places in Arizona that I never knew existed. Two weeks ago I plugged my wish list into Google Maps and booked a flight for Las Vegas. Why Vegas? Flights are usually much more reasonable than getting into Phoenix and, well, why not? The theme for my trip was “desert” and what better place to start than the MGM Mirage? I’ve been going there since Siegfried and Roy were performing. It’s as modern and updated as newer hotels, but it’s got an old Vegas feel too. 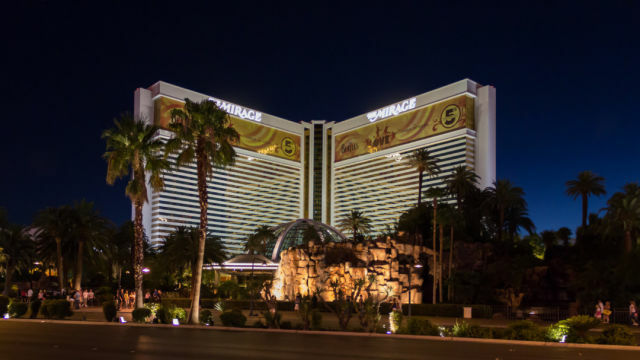 We spent a night in one of the Mirage’s new Stay Well rooms which was quite interesting. 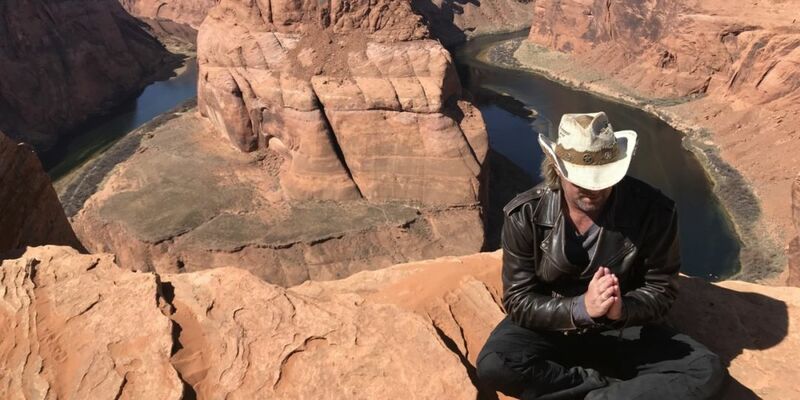 The plan was to make a giant loop through the top of Arizona, drive to the bottom of the state, then head back to the middle, see the Grand Canyon and spend our last night in Las Vegas. There was a lot of time in the car, but we had a week, which turned out to be perfect. It’s the ultimate road trip. If you’re looking for an alternative to Orlando or a cruise, you won’t find a better itinerary. The first leg of the trip is about four hours of driving from Vegas. You head east to Glenn Canyon Dam in Page, Arizona. If you have an extra day, you can also drive through Zion National Park and Bryce in Utah. You could visit both in a day if you’re not doing much hiking and you get an early start from Las Vegas. Many travelers stay in Kanab, Utah since it’s only 30 minutes from Zion and 1.5 hours to Bryce (the north rim of the Grand Canyon). There are plenty of hotels in Kanab and iconic movie locations too. Glenn Canyon Dam is a little smaller than its more famous cousin, the Hoover Dam, but it’s a very interesting stop and serves as a gateway to Lake Powell, one of the most beautiful lakes in the world. You can rent a houseboat and spend days navigating this picturesque wonder if your schedule allows. 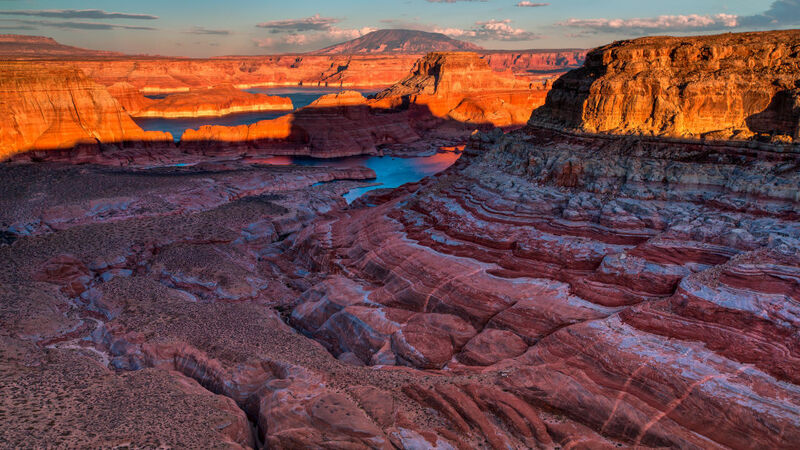 The crystal-clear water, red rock formations and narrow canyons are stunning and look like the planet Mars with water. Page is the main town where tourists stock up on provisions and rent boats to experience this breathtaking reservoir. Lake Powell isn’t the only wonder of the Colorado River, however. Only 10 minutes from town is the observation point of Horseshoe Bend. Praising mother nature at Horseshoe Bend. Even if you’ve never heard of Horseshoe Bend, you’ll instantly recognize it once you make the 10-minute walk to the rim. 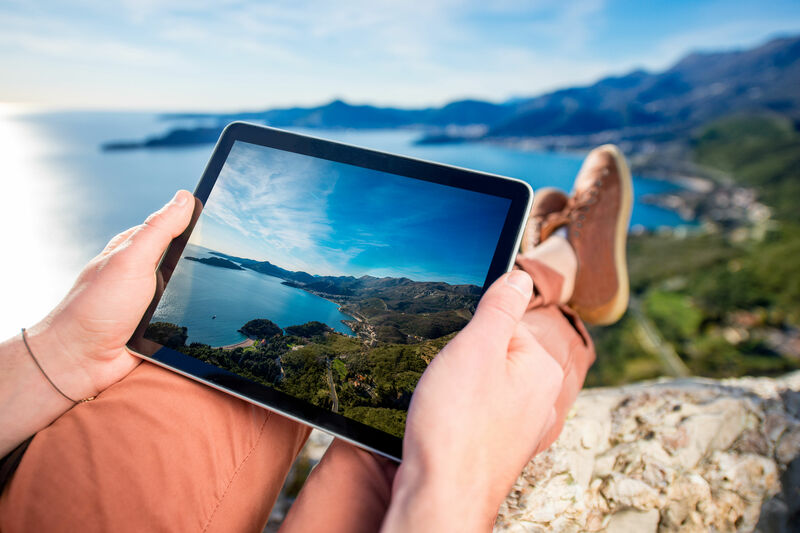 It’s simply one of the most photographed natural places in the world and it’s bound to be found in one of your coffee table books or on your computer screen. It’s the point of the Colorado River where the river doubles back and makes a (yes, you guessed it) horseshoe shape. It’s awe-inspiring and you’ll probably take 20 pictures that look exactly the same and not even realize it. It seems unlikely to be able to see such beautiful places so near each other. But we’re not finished. There’s the canyon. 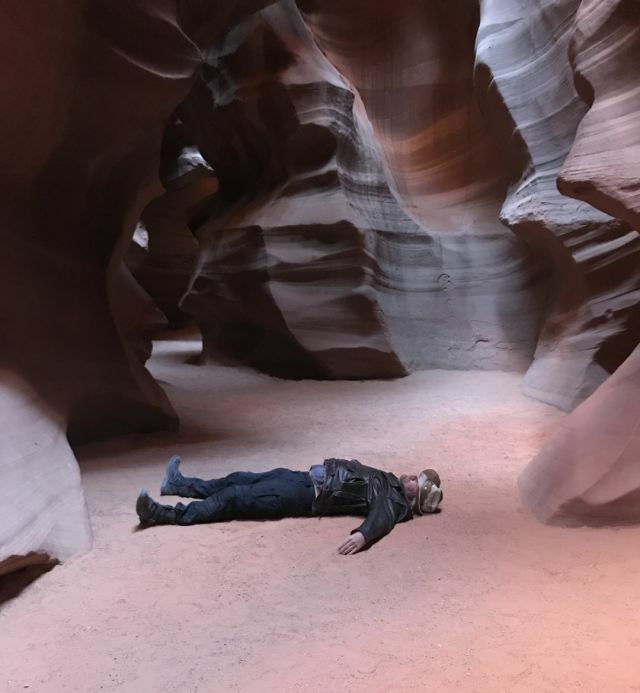 Playing dead in Antelope Canyon. Antelope Canyon is on Navajo land which means that the natives can charge you whatever they want to let you visit, and they do. There are two canyons, the upper and lower. Most tourists opt for the more expensive and easier-to-get-around upper canyon. The lower canyon has a little climbing involved and some narrower passages but has less tourists. There’s tours going just about every hour and you can pre-book a tour at a travel agency in Page or just show up onsite to the tent where the locals are happy to take your $50 for admission and corral you into the tour truck. Visitors are driven to the entrance of the slot canyon and are led by a native guide through the rocks. It’s more like the entrance of a cave than a canyon. You might have to battle crowds to get the perfect photo, but its twisting sculpted vermilion passages are unforgettable. The most expensive photo in the world was taken at the end of the canyon by photographer Peter Lik. He was paid $6.5 million by a private collector and the print wasn’t even in color. That says something for the beauty of Antelope Canyon. You can spend the night in Page or head toward Monument Valley if you’re up for more driving. It’s about 2 hours to the visitor’s center where you can stay at the aptly named View Hotel, which has a million-dollar view of the valley. 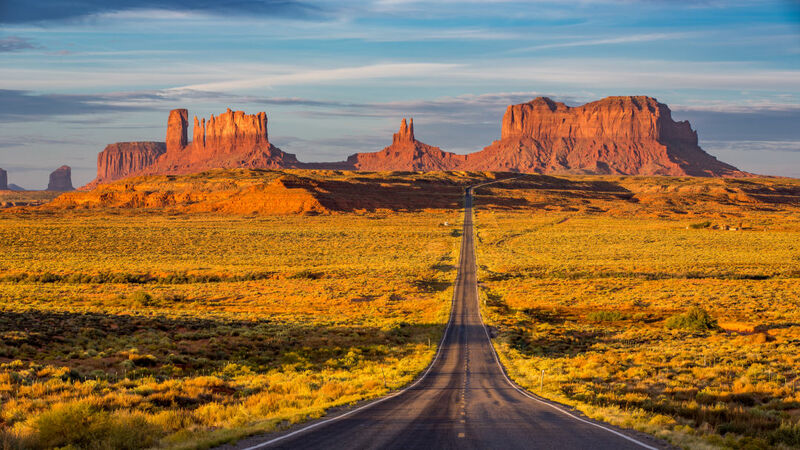 Monument Valley is the setting for countless western films and it’s the stereotypical perfect desert picture with its mesas and jagged red butte formations. You might even recognize it from Back To The Future Part II when Marty is being chased by a fictional Pohatchee Indian tribe. You can drive the 17-mile loop yourself or take an organized tour on horseback or Jeep from a Navajo guide. The restaurant at the visitor’s center offers Navajo-inspired cuisine if you’re up for something a little different. If you’re really into a different experience, you can rent a traditional Indian hogan to spend the night. My advice: look at one before you do. You’ll probably change your mind. The next must-see attraction on our itinerary is the often mispronounced Canyon de Chelly (Chelly is pronounce “shay”) and is about 1.5 hours south from Monument Valley. Chinle is the gateway town to the park and makes a good overnight base if you’d like to visit the canyon first thing in the morning. 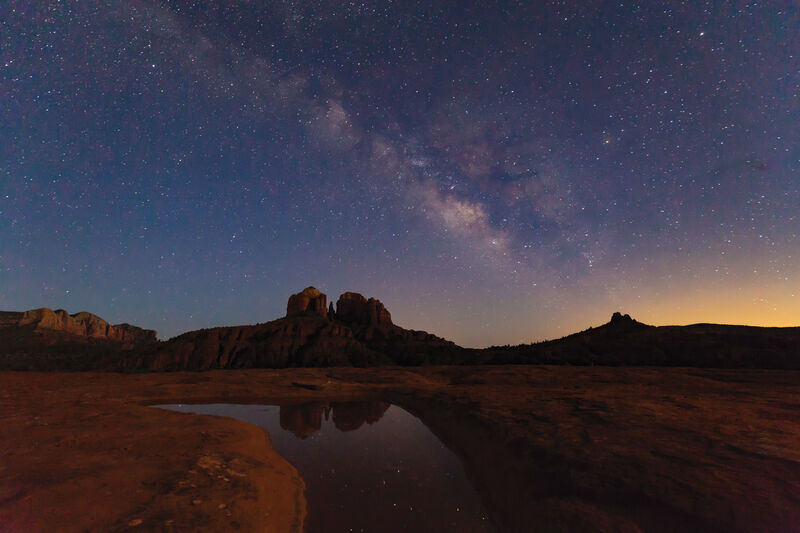 The natural formations are ruggedly beautiful like everything else in Arizona, but with a little twist: There’s cliff dwelling ruins and ancient petroglyphs scattered throughout. The drive around the rim of the canyon is priceless. Literally. It’s free to take your vehicle to the different observation points. If you want to explore the floor of the canyon, you’ll need a Navajo guide with a four-wheel drive or you can explore by horseback. Horse riding is reasonably priced. We had two horses and a guide for 2 hours for $90. The most famous viewpoint and photographed area is Spider Rock. From Canyon de Chelly, you have a 2.5-hour drive to Winslow. Along the route you can stop at Petrified Forest National Park on the way for a short visit and you’ll actually be on a famous section of the original Route 66. Nearby Holbrook has a few fun nostalgic sites including the Wigwam Motel, The Rainbow Rock Shop as well as some wannabe diners and Route 66 photo ops if you’ve got time to stop. There’s more options for hotels in Holbrook than Winslow, but both are good choices. 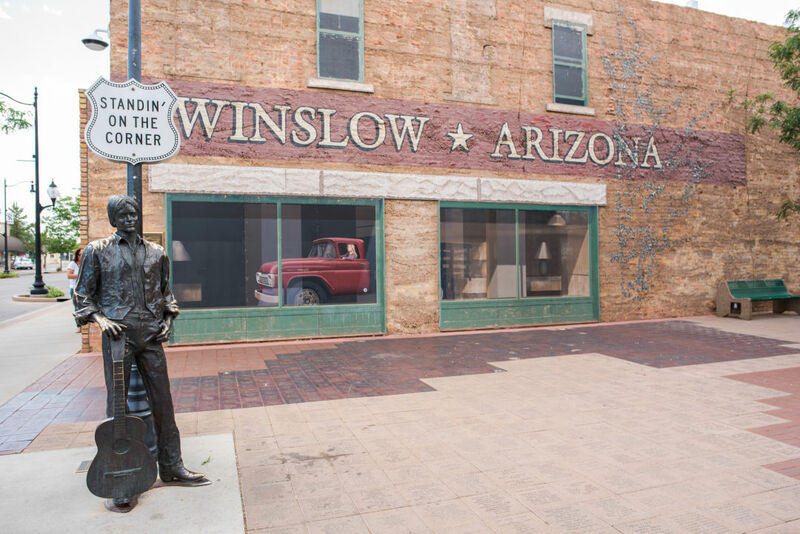 As hokey as it sounds, you have to visit Winslow to join the throngs of Eagles fans who line up to take their picture on The Corner in Winslow, Arizona. The downtown corner is a tribute to the song written by Jackson Browne and Glenn Frey, but each of the four corners celebrate the Eagles in one way or the other. All sides blast various versions of the septet’s hits and there's even a park with “a flat bed Ford” parked near life-sized statues of Browne and Frey, and the iconic “standing on the corner” sign. It’s the closest U.S. equivalent to London’s Abbey Road. The park even has its own music festival. Spend a haunted night in Jerome. If you have a few days to spare, a trip to Tombstone is fantastic, as we previously reported. It’s a long 5.5-hour drive, but you pass through the oft-missed green center of Arizona with lots of beautiful scenery along the way. You can break up the drive with a night in Tucson or Phoenix. Saguaro National Park is about an hour before Tombstone, but by the time you reach the southern part of Arizona, you’ll probably have seen enough of the iconic cactus to skip the park. Rooster Cogburn’s is a wacky roadside attraction where you can feed ostriches, stingrays and other creatures near Picacho, and makes a nice stop if you’re an animal lover. However long it takes you to get there, Tombstone is the ultimate Arizona tourist town and nearby Bisbee can be visited while you’re in the area. After you’ve had your fill of cowboys and gunfights, you can head back north and reach Montezuma’s Castle in about four hours. This national monument is an easy visit to a native American cliff dwelling that you can see in less than an hour. 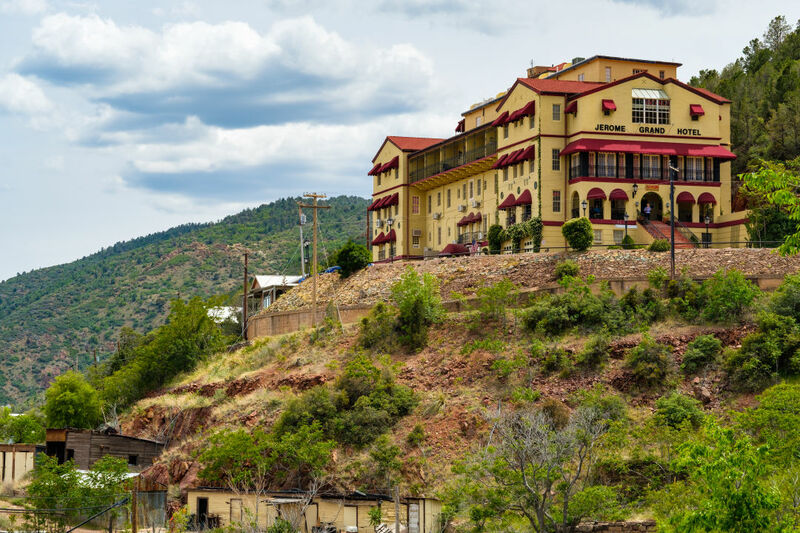 The nearby hillside town of Jerome is an interesting place to stay, especially if you can stay a night or have dinner at the famous Grand Hotel, formerly an insane asylum. It has a reputation for being one of the most haunted places in Arizona. The town is full of cute shops, wine tasting and some old buildings left after the copper mining business slowed down. Maynard Keenan, lead singer for Tool, has a winery you can visit. If you ask for him, they’ll pretend he’s in the back of the store. I fell for it. Sedona is about an hour north and is literally the crown jewel of Arizona. Many visitors' eyes will glaze over just at the mention of it, and they'll opt to stay there for their entire vacation. The city is smack-dab in the middle of the most gorgeous Arizona red mountains you’ve ever seen. The town is beautiful and there are plenty of upscale hotels, spas and expensive restaurants for even the most pampered. 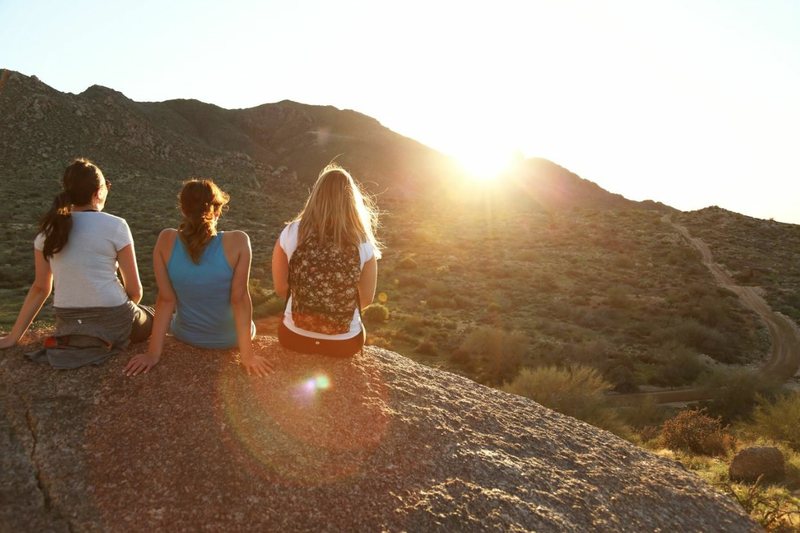 The location makes a great base for exploring Jerome, the Grand Canyon and even the famous Meteor Crater. There are many trails to hike so it’s unlikely you’ll get bored. 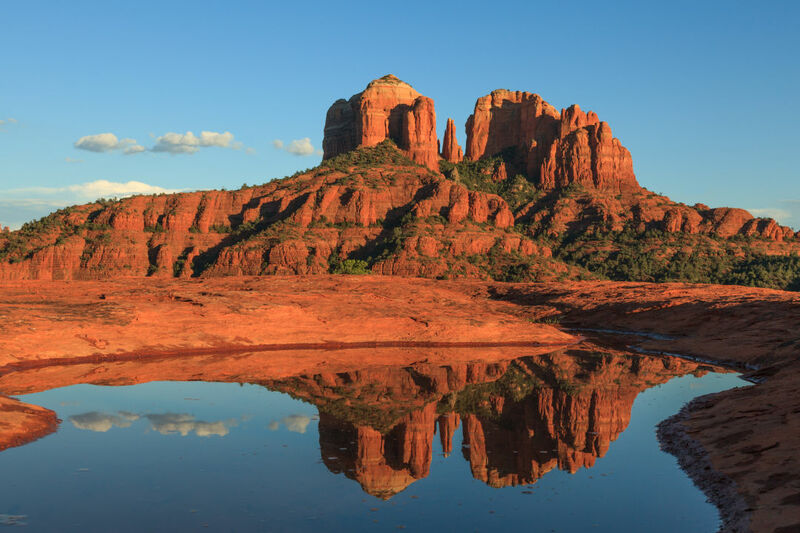 If Sedona is out of your budget, stay at one of the smaller neighboring towns nearby or try your hand at camping. The last stop on our itinerary is the poster child of U.S. National Parks, the Grand Canyon. On the way, Bearizona is a zoo/drive-through park on the way that can break up the 2-hour scenic drive. The Grand Canyon is huge and has several places you can visit, but most tourists stop on the south rim at Mather Point. 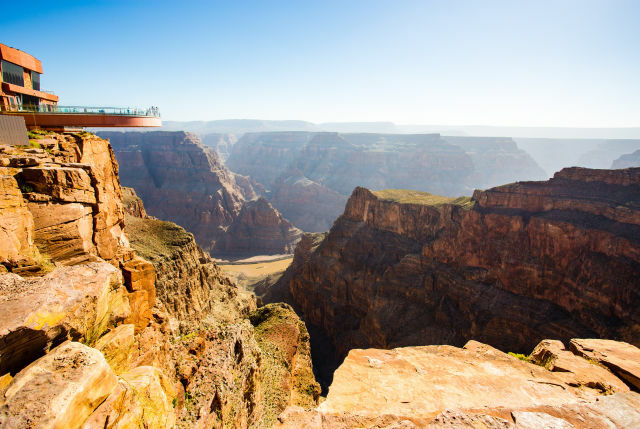 If you have extra time you can raft the river, hike the canyon, take a helicopter over the top or take a stroll over the Grand Canyon Skywalk and look 4,000 feet directly below your feet at the natural wonder and a very scary drop-off. It’s about four hours back to Las Vegas with not much to see except the Hoover Dam and a couple of Route 66 towns. 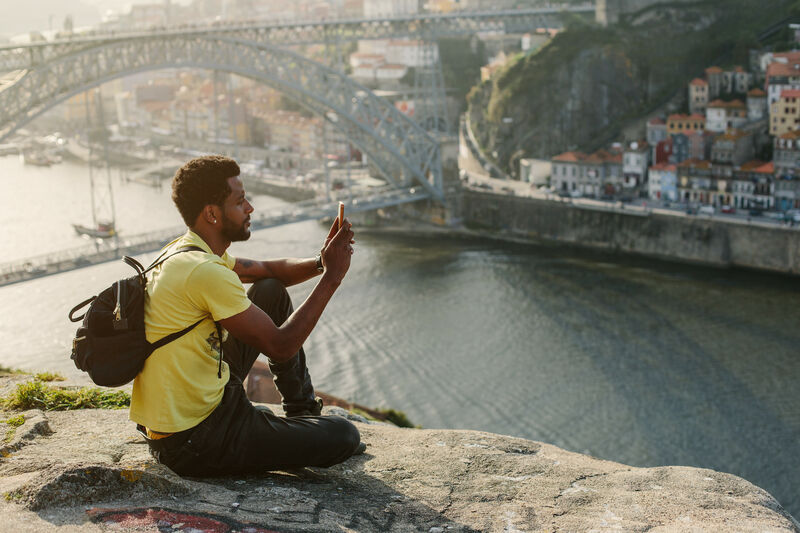 You can do this itinerary in about a week and it is full of history, adventure, and some of the best scenery our country has to offer. The best time to visit is in the spring and early summer where you can catch the cactus blooming.